A Really Big Crack In An Antarctic Ice Shelf Just Got Bigger : The Two-Way If the rift gets long enough, Antarctica will lose a chunk of ice the size of Delaware. 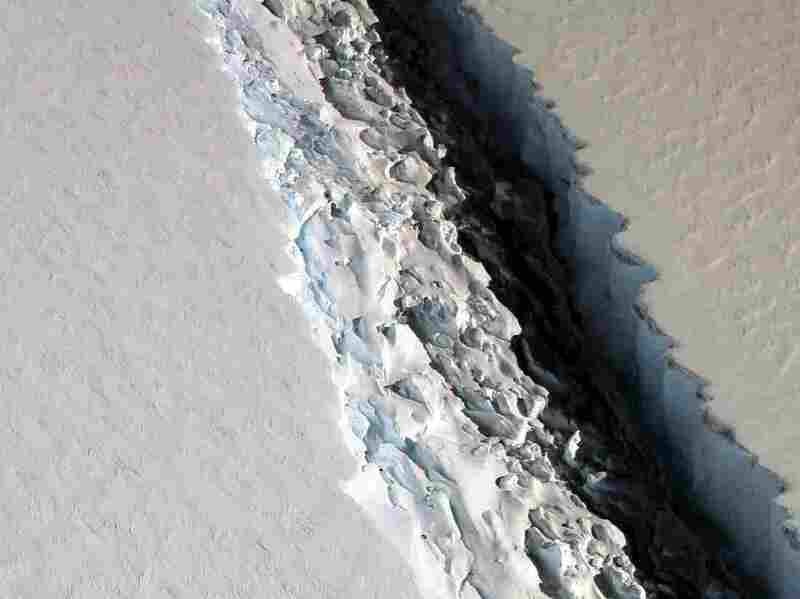 A photo of the crack in Antarctica's Larsen C ice shelf in November. Right now, a big chunk of Antarctic ice is hanging on by a frozen thread. 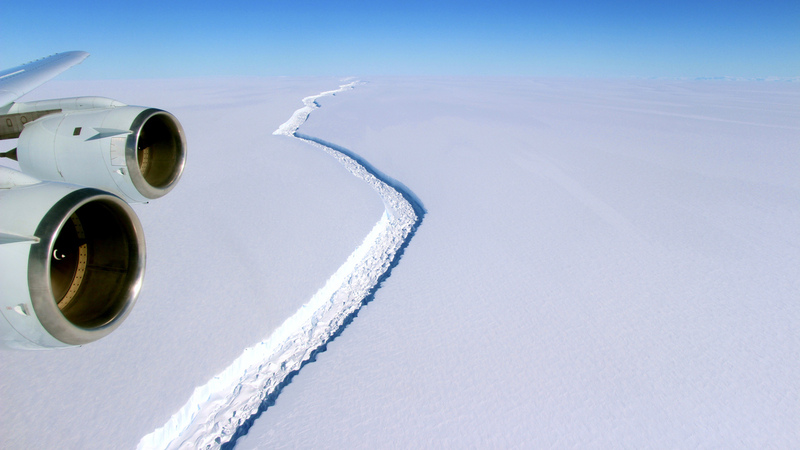 A NASA scientist with project IceBridge took this photo of the crack in November. "This event will fundamentally change the landscape of the Antarctic Peninsula," Luckman wrote. Larsen C is Antarctica's fourth-largest ice shelf.